The current advice from the Hawaii Tourism Authority is that there is no reason at this time for travellers to change or alter their leisure or business travel plans. The majority of Kiwi holidaymakers travelling to Hawaii should remain unaffected by the recent volcanic activity. The cause of all the recent news stories are eruptions flowing from Kīlauea Volcano; an active shield volcano in the Hawaii Volcanoes National Park, on the largest of the Hawaiian Islands, that has been active for over 35 years. The recent activity is confined to a small (10 square mile) area, of the Leilani Estates and the Lanipuna Gardens Subdivisitons, in the eastern Puna district of the Island of Hawai’i. The holiday hubs of Honolulu and Maui remain unaffected by the activity. Flights into and out of the Hawaiian Islands also remain unaffected with all airports currently operating normally. This means that there should be no reason to cancel or rearrange any travel plans to Hawaii. It is important to note that your travel insurance provider will likely not provide cover if you were to either cancel or rearrange plans to any of the unaffected areas. 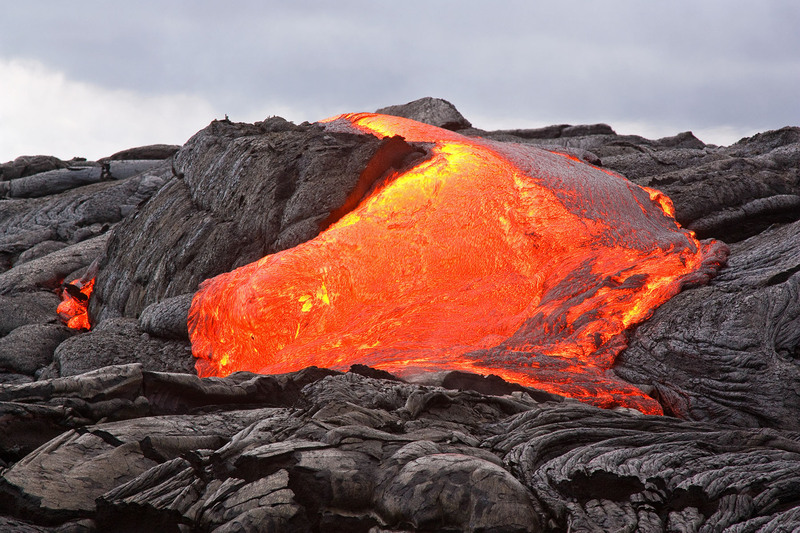 The only travel plans that may be affected are planned visits to the Hawaii Volcanoes National Park. If you have already booked a trip to the island of Hawai‘i with accommodation or activities on the east side, close to the Puna district, you should contact your tour operator or travel agent to find out if your plans are likely to be affected. If you plan to travel to Hawaii in the near future, we advise you stay up to date with alerts from SafeTravel.gov.nz. Hawaii Civil Defence is simply encouraging people to stay away from the area whilst the activity continues to be heightened. Hawaiian Civil Defence is confirming that although volcanic activity has lessened, harmful fumes continue to pollute the area. Since the start of the activity, 10 fissures have formed, and 35 structures (26 of which are residential) have been destroyed. Hawaii Red Cross has opened a number of shelters to house residents who have had to evacuate their homes. It is always our priority to assist our customers where possible and within our ability to do so. Please read on to find out more about how this event will affect your travel insurance and ability to claim. If you need medical advice or emergency medical assistance, please contact our 24-hour Emergency Assistance team. Speak to the local operator and ask to be put through reverse charge to +61 7 3305 7499. If your transport is delayed, cancelled or your accommodation is affected due to this eruption, you may be able to claim for additional travel, accommodation and meal expenses. Terms, conditions, limits and exclusions apply under your policy. For full details, you should refer to the Policy Wording and Certificate of Insurance you received when you purchased your travel insurance. Please make yourself aware of the advice issued by Ministry of Foreign Affairs and Trade (MFAT) and Safe Travel website www.safetravel.govt.nz for up to date information about this event. If your pre-booked travel arrangements are cancelled, delayed or rescheduled by your travel provider as a result of the Kīlauea Volcano and you have a travel insurance policy that provides coverage for delays or cancellation of travel arrangements, you may be able to make a claim for cancellation or rearrangement of your journey (whichever is the lesser cost). Please refer to your Policy Wording for the terms, conditions, limits and exclusions that apply. We recommend contacting your travel agent or travel provider regarding the best option in altering your trip. Some travel providers may provide penalty free options to amend travel arrangements and they should be able to provide further details. Contact our Allianz Partners Information Hotline on 0800 800 048 or +64 9 486 0048 if you would like to clarify your policy entitlements. Your policy covers you for unforeseeable circumstances. As activity from the Kīlauea Volcano was a known event we would expect that this was done with an awareness of the increased activity by the Kīlauea Volcano and the possibility of issues arising due to this. For these policies, claims that arise due to volcanic activity associated with Kīlauea Volcano (for example, flight delays or cancellations) may not be covered. Policy coverage and benefits vary based on individual circumstances and therefore we would like to take the opportunity to remind and encourage travellers who purchase travel insurance to always read their travel insurance Policy Wording, so that you know what risks you are covered for. You should try to minimise your expenses including rearranging your journey where possible. If you have been using (for example) three-star accommodation on your trip to date, then any replacement accommodation should be of a similar standard. Keep all receipts for any additional transport, food or accommodation expenses. If you are claiming cancellation or additional expenses, you will need to submit documents showing what your original planned pre-paid arrangements were, along with any receipts and documents showing your new arrangements, and advice from the travel provider indicating the non-refundable portion of the journey. If you have any general queries, please contact our Allianz Partners Information Hotline on 0800 800 048 or +64 9 486 0048.